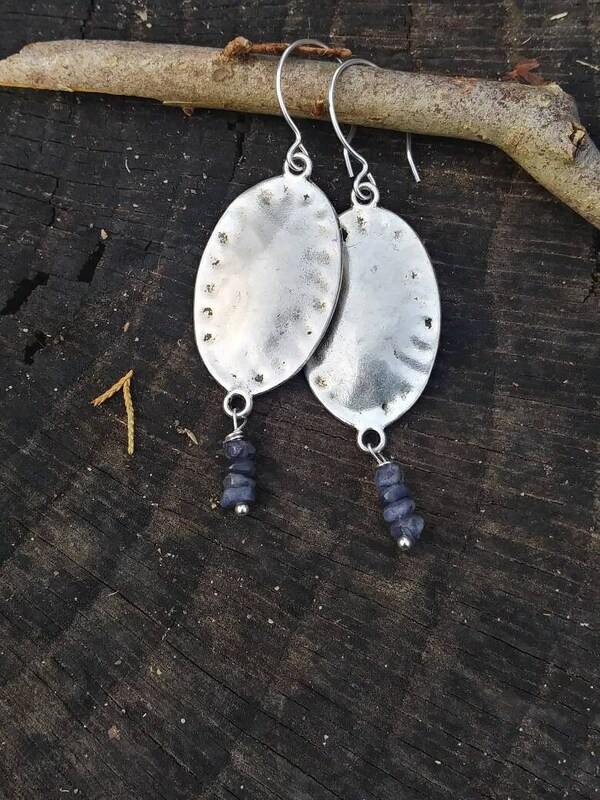 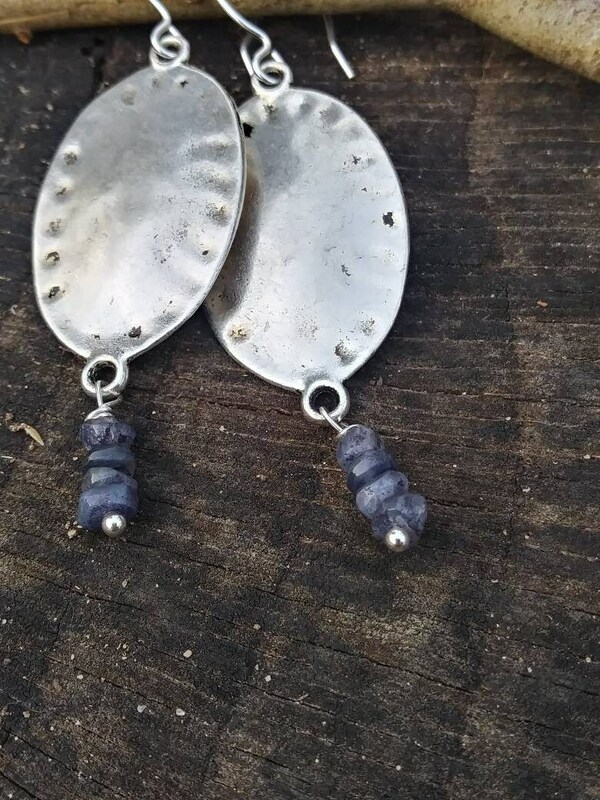 Beautiful silver plated earrings with beautiful little labradorite beads that sway at the bottom. 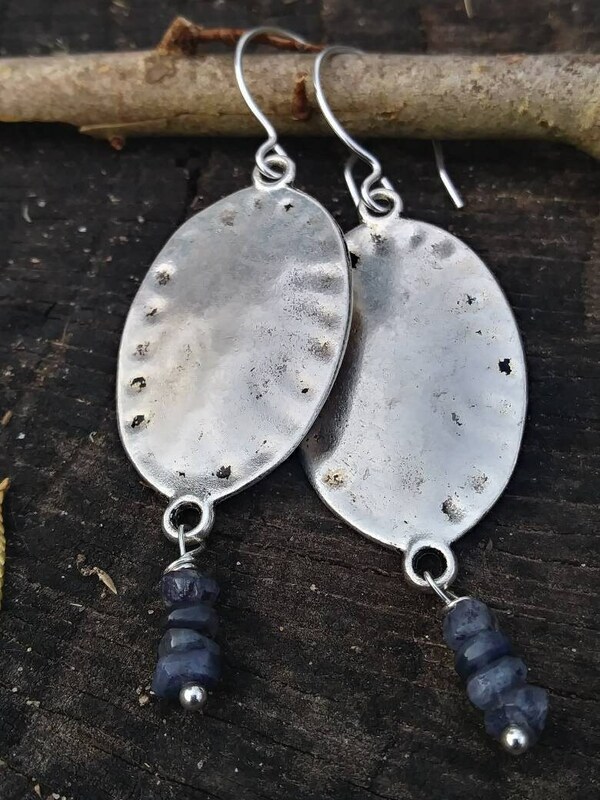 Large silver plated discs make a statement ending with the subtle labradorite beads. 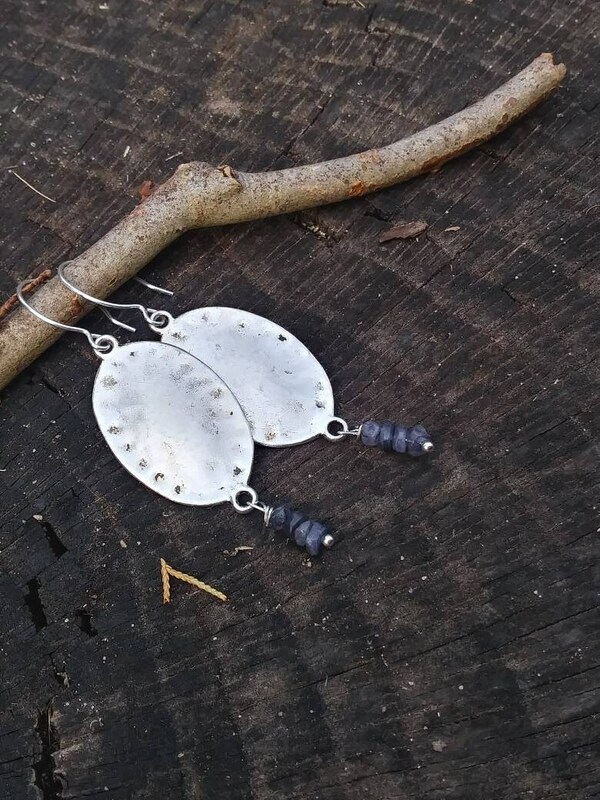 Custom earrings are available with amethyst or any other color you choose. 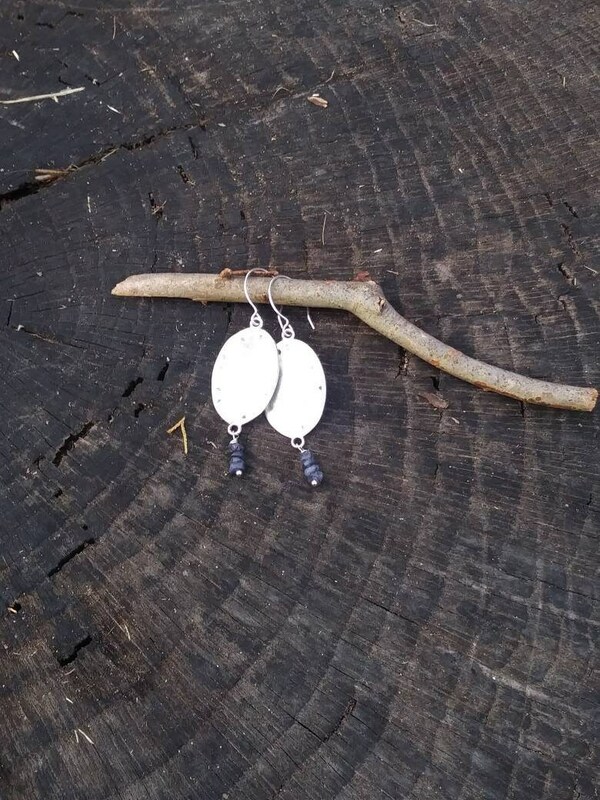 Elegantly hanging 3 inches.